Vindicia>Blog>What will be the next big subscription disruption? What will be the next big subscription disruption? When surveying the products and services currently available on a subscription billing business model, it's not hard to see several similarities. Many new offers are simply updates of old models. An entrepreneur takes a consumer product, bundles it in a "box," and ships it out on a consistent basis while charging customers for their subscriptions. Alternatively, a company charges a certain rate for continuous access to a particular product or service, be it over-the-top content, software as a service, infrastructure as a service, media and journalism or something more. There's no doubt that many organizations monetize this model effectively. However, it's important for businesses that use subscription billing to remain aware of new ideas that bring this disruptive payment method to more industries. For instance, organizations in healthcare and social media are either considering introducing subscriptions or have already done so. These moves could make them more competitive and alter the consumer approach to payments. Keeping an eye on their movements can alert current subscription services to new markets or strategies that could help them collect more revenue. Wellness is already a subscription billing trend - think monthly boxes that offer fitness gear, healthy food or supplements - but true healthcare services have yet to transition to this payment method. 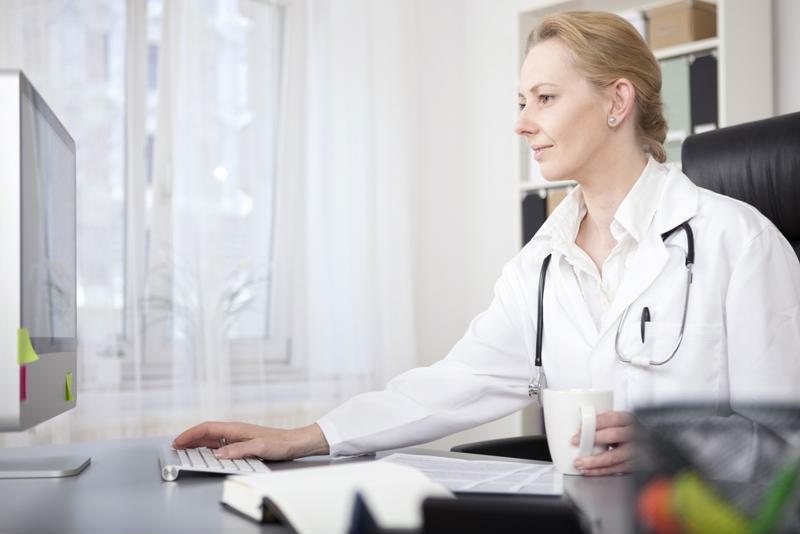 Forward, in its attempts to revolutionize healthcare, has changed all that. The company is most notable for being Silicon Valley's answer to the primary care physician, but its approach to payments is just as interesting. Instead of insurance and co-pays, consumers get unlimited access to Forward's medical services for $149 per month. This is a radical move, especially as insurance is currently under such scrutiny. What's more, this setup could prove very attractive to customers. Forward's website claims that, because the service does not interact with health insurance providers in any ways and is strictly funded through subscriptions, clients don't have to pay any fees or co-pays. The service also makes no mention of deductibles, though it does admit insurance-covered care may be necessary if patients need services that aren't provided by the facility. 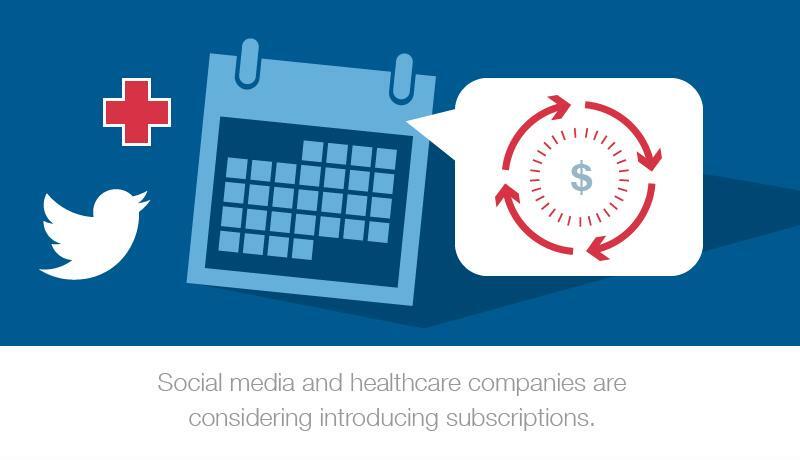 Will healthcare be the latest field to transform via subscription billing? It's almost surprising that a major disruption within social media hasn't happened yet. The factors are there for one: These platforms are available on the internet, after all, and there's been no greater tool for major change. That said, monetizing an online-only product has proven difficult, especially when that product was free to access originally. "A premium TweetDeck would likely appeal to researchers, marketers and journalists." This idea is what led Twitter to consider adding a new subscription service directly to its TweetDeck product. As Market Realist noted, the company struggles to maintain itself on its current advertising and non-advertising revenues, especially with strong competition from Facebook and others. Therefore, during the company's annual investor meeting for 2017, Twitter Chief Financial Officer Anthony Noto and Chief Executive Officer Jack Dorsey discussed the possibility of adding a premium TweetDeck option. This would be loaded with additional features that the executives felt would be particularly appealing to professionals, especially researchers, marketers and journalists. Could these be the next major changes in subscription services? It remains to be seen whether these two offers will revolutionize their respective industries, but they bring an interesting thought to mind. We've seen subscription billing become fuel for the internet age, providing sustainable revenue for companies in ways we hadn't imagined a few years ago. This payment method has completely changed the way people approach movies, music, consumer goods, deliveries and software. There's a lot of room for something new when it comes to the subscription business model, particularly surrounding the Internet of Things and SaaS. It's anyone's guess which company will bring the next major breakthrough.